Being a fairly regular blogger via this site, I also find myself reading an array of other blogs. What I’ve noticed over the past couple of years is that for many bloggers, regardless of their profession or specialist subject, the month of August often sees a reduction in activity. Some bloggers simply go quiet whilst others actively wave off their readers for the summer with an ‘I’m going off on sabbatical, see you later folks!’ type post. This summer it's been the same for me, particularly as I am now in that strange-feeling transition phase between jobs, preparing to move to Assistant Deputy Headteacher at the Pendlebury Centre (a nationally-recognised specialist provision for students with complex emotional-social needs). Under advice from my new headteacher to not get too bogged down in the relevant books and to simply recoup, I’ve resisted delving into the pile on various psychological conditions I’ve gathered over the past few months. However, I do believe the summer break could be viewed in some respects as a sabbatical – and this can be a productive way of looking at this time. The conceptual understanding and practise of sabbatical has changed over time, having roots in our Judea-Christian culture of ‘keeping the Sabbath’ and relating also to ancient agricultural life, with farming of an area ceasing every seventh year to allow the land to recover. Over the centuries this tradition of sabbatical shifted to universities and to the church, with academics and clergy periodically stepping back from daily duties to undertake a period of reading and reflection. More recently it is a practice taken up by creative technology firms such as IBM and Microsoft, again with a view that those who undertake sabbatical attain something during this time that usual working commitments would otherwise constrain. So, for my self-declared sabbatical this year, I decided as well as the usual mix of sun seeking, plodding around a foreign city, catching up with family, attending to long neglected chores etc., I would take some time to read and reflect on educational issues. But also, keeping in mind the need to relax, I made sure the reading material would be as light-hearted as possible – and to mix it in with books of no direct relevance to education, which to give a flavour includes ‘I Hate Football’, a diary of a Sheffield Wednesday fan! 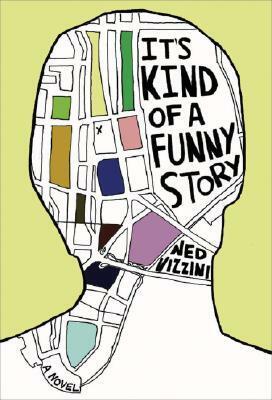 One of the books that has stood out during this period which I would recommend to colleagues and parents, and older students, is ‘It's Kind of a Funny Story’ by Ned Vizzini. I've since found out there is a Hollywood adaptation of this book although I am hesitant to watch it for fear of ruining the original. I picked 'It's Kind of a Funny Story' for obvious reasons as it relates specifically to complex emotional-social needs amongst adolescents, with a focus primarily on an older teenager’s experience of anxiety and depression which results in hospitalisation. Although based on many of the author’s real-life experiences, it has to be said the account is fictional and in many ways adheres to teenage narrative, with a fairly typical story of young love and a resolved, happy ending. However, it also – as the best fiction should – makes observations that are true-to-life, providing value to the reader. The story is told from the perspective of Craig Gilner, a fifteen year old with a bright academic future. Having spent a year working tirelessly to attain a place at a top New York school, Craig finds himself overwhelmed by the pressures of his chosen study route and fitting into a peer group which revolves around cannabis, girls and computer games. As the competing pressures build further, Craig becomes depressed and enters a fairly typical programme of 'learn how to cope' counselling. 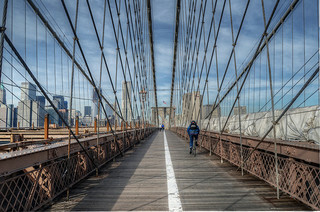 With this having seemingly little impact, he in turn becomes suicidal - planning to jump off the Brooklyn Bridge - and ends up undertaking a five-day stay at a mental health ward for adults (as the teenage section is being refurbished). From there we gain further insight into Craig’s inner dialogue as he awakens to the triggers for his depression – matched with witty yet warm observations of fellow inpatients. Similarly, Craig talks often about the constant drive to have a firmly recognisable ‘shift’, a big sudden moment of cure he can celebrate; "I want there to be a shift so bad. I want my brain to slide into the slot it was meant to be in, rest there the way it did last fall of last year, back when I was young and witty, and my teachers said I had incredible promise..."
When he hits further difficulty, he habitually denounces previous progress as a ‘fake shift’. By viewing things in this perfectionist 'all or nothing' way, this again generates further anxious thoughts (which he calls ‘cycling’) and subsequent low mood. I personally found this a little chastening, as it is perhaps an approach we as adults take in our work with young people, falling into a habit of working towards big, calendar-scheduled ‘do or die’ breakthroughs. Rather than accepting that learning and growth in fact follows a less-fixed pattern of small steps with progress occurring at different speeds, including points of regression. Perhaps this also reflects the dominant organisational culture within education now? During what we could call his very own sabbatical, Craig does in fact begin to embark on a real shift by taking a step back from actively struggling with the ‘tentacles’ he perceives and simply realising he is on the wrong study route and too immersed with the wrong crowd – and crucially, that there are other options. From there he decides to move from a study route composed of science and maths to a creative arts course, which he has a natural talent in. He also resolves to handle his friendships more assertively. There is of course something true-to-life about this also, that Craig just needed to find his niche, his place in the world. I guess, going forward into my new role, the mission is simply this – to increase one set of options for a young person whilst decreasing other possibilities, ideally to the point they become very unlikely. Although this is what, in a nutshell, all teachers should in essence be trying to do on their return to school over the coming weeks, each within their own fields.